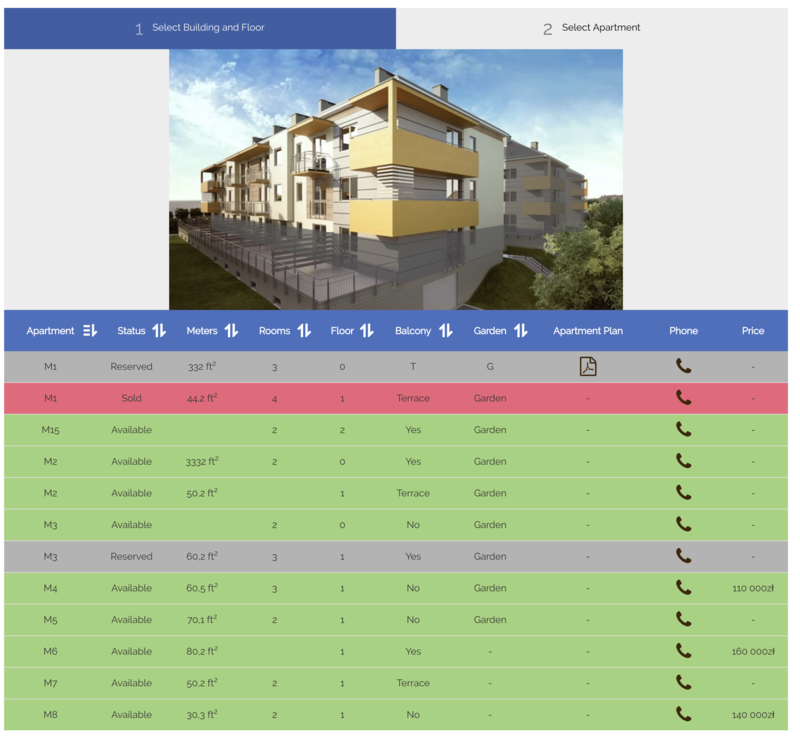 Present and sell your estate apartments (or properties / exhibition areas, shopping spots etc.) the best way possible. Present clients your area picture, satellite map or visualisation of the building site. 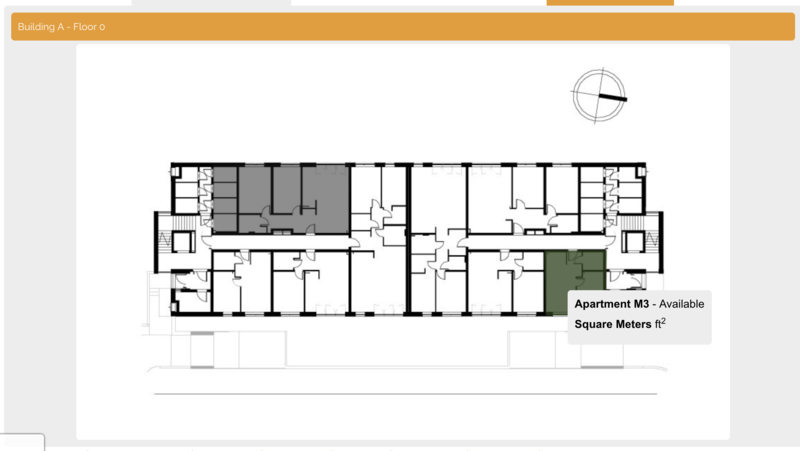 Our configurator allows users to click on the specific building floor and check its floor plan to find out what apartments, properties or other areas you offer. Usually such functionality costs 10 times more because it needs to be customised for specific estate/ exhibition project. Thanks to our plugin you can do it yourself on every Wordpress website. It can be used even for market, shopping center, expositions, events etc. 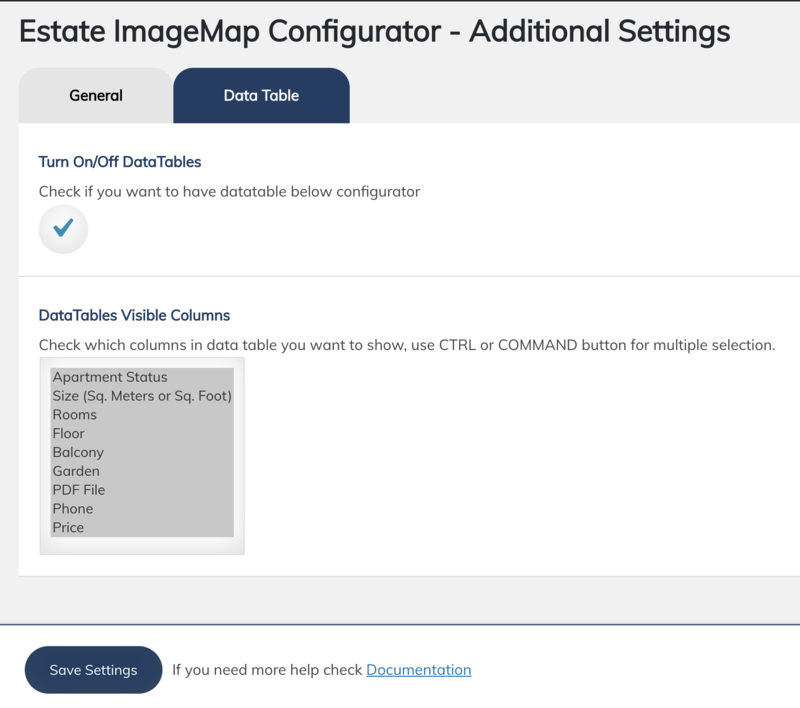 Our plugin uses additional Data Table below the configurator which shows all your apartments. List can be sorted by columns. 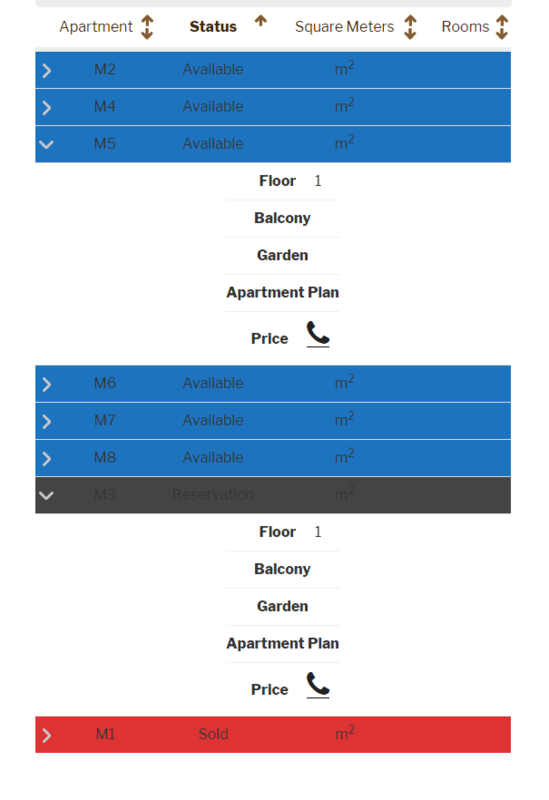 All columns are selectable and can whole table can be hidden if needed. 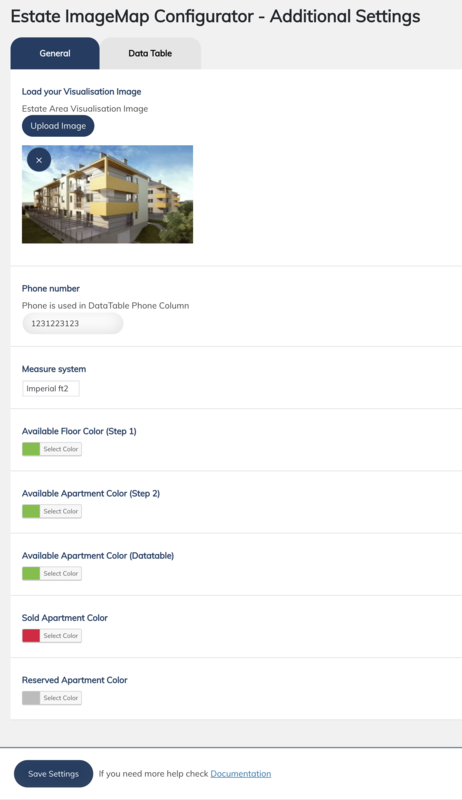 Colours are customisable either, you can prepare your own look of configurator and table too. Customisable Templates. New available soon! Check our Live Preview, Documentation or contact us if you want to know more. We are ready to help you. NEW - New, modern, blue Template. You can select it into Settings / Layout. CHANGE - Icons for sorting datatable into /template folder. 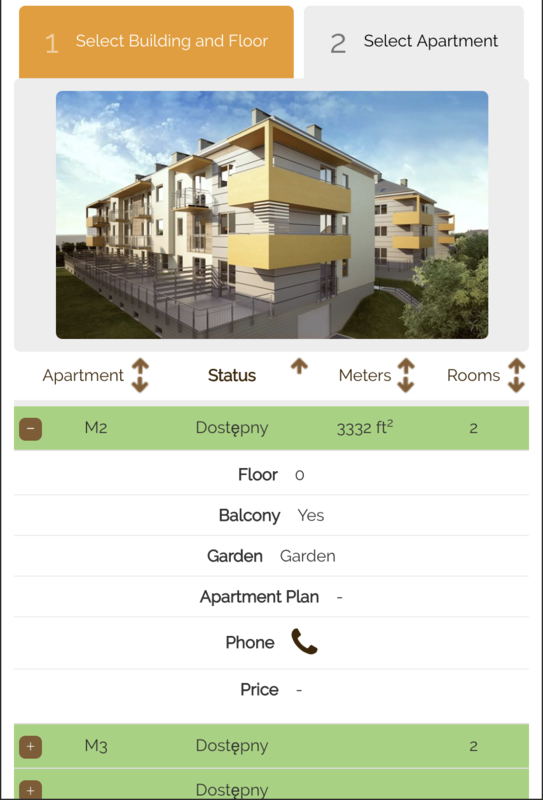 FIX - Column with Apartment Name (First) will be sorted by default instead of second. CHANGE - Another Tooltip look. Now it will be relative to mouse. IMPORTANT - NEW - New Database Structure and Options system, You need to set-up everything again.